How to Transfer Podcasts from iPhone to Computer? Best Way Here! Perhaps you are one of those cool people who love to listen to podcasts while surfing the internet on their computer and all of their podcast happens to be on their iPhone. Well, transferring podcasts to one’s system could also help save storage space on your iPhone. This article will be revealing the ways in which you can copy your podcasts from your iPhone to your computer. iMyFone TunesMate is a platform that is used to manage iOS devices. With which you can easily transfer podcasts from iPhone to computer. It is a great tool to transfer various files between your iPhone, iPad, iTunes, Mac or computer. It is capable of many cool things such as syncing iTunes files without opening iTunes, sync data without erasing device data, backing up of files to your computer and most importantly it runs faster than the iTunes. With the All-Inclusive IOS Manager, the iMyFone TunesMate allows the user to interact with the device just like they do with iTunes. The All-Inclusive Manager is a feature of the platform that supports all manner of files and all you have to do is drag them and drop them on the iMyFone TunesMate to transfer without opening iTunes. With its One Click Feature, you can sync your data with the assurance that they won’t be erased from your device unlike when done with the iTunes. 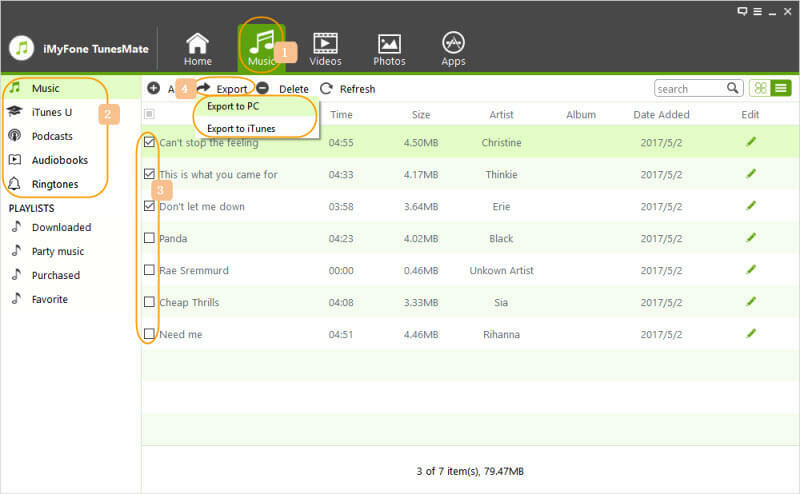 It also allows you to transfer and backup files onto your computer with its One-Click Feature. 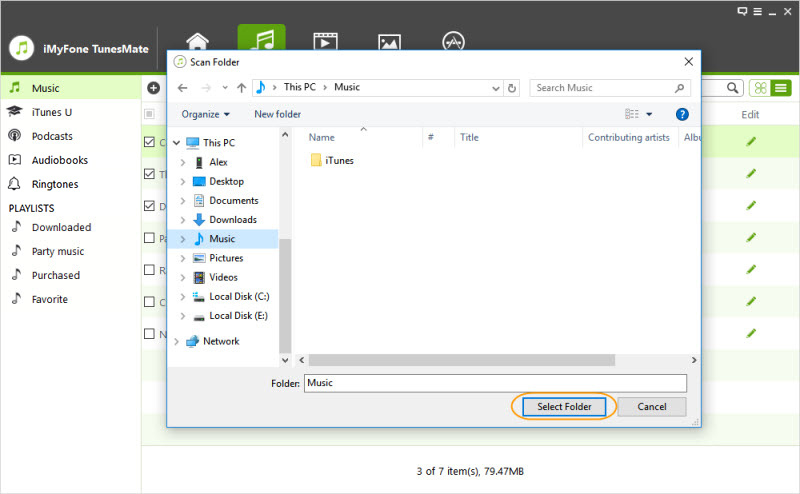 Step 1: Download the iMyFone TunesMate software and install it on your computer and connect your iPhone to your computer using a USB. Step 2: Click on the Music icon. And choose Podcasts category at the side bar. Step 3: Select the Podcasts you want to transfer. Click on Export and then Export to PC. Step 4: Then browse the target Folder you want to save them on your computer. And click Select Folder to transfer podcasts from iPhone to computer. Step 1: On your iPhone open Settings>Podcast. Step 2: Tap on Sync Podcasts to On. Step 3: Launch iTunes on your Computer. Step 4: Connect your iPhone to your Computer and Authorize. Step 6: Tap the Store tab. 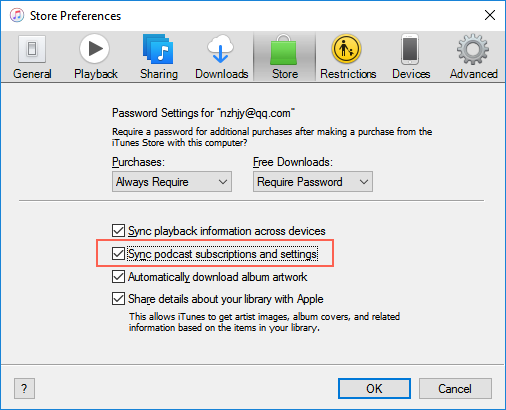 Step 7: Choose Sync podcast subscription and setting. Now your podcast will be automatically transferred. You see the iTunes folder and you drag to your desktop as well.